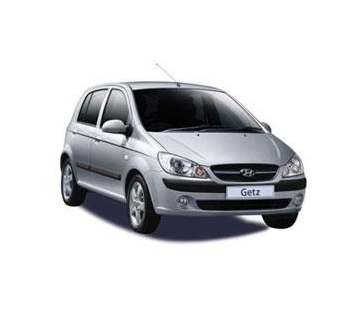 We recommend a small car to anyone who wishing to rent a car who requires a small, nimble around town car. Having a smaller engine makes these cars a wise economy choice when travelling. One small tank lasts for days & four door access makes it simple if you have smaller children. Compact, Nippy & Easy to Park. Great Around Town Option with excellent Fuel Economy. Why do Jetsetter Car Rentals’ customers keep coming back? Book your next Gold Coast Car Rental with Jetsetter Car Rentals! All of our car rentals have air-conditioning, power steering and stereos or CD players, and all cars are safety checked and carefully cleaned inside and out prior to delivery. Included in the price is a 24 hour breakdown assistance. * $25 per day special based on minimum four (4) day hire. If you do need a larger vehicle why not take advantage of our Off Peak Rates? You can easily afford to hire the Camry for just a few dollars more per day then the standard Getz. That is why the Camry is one of our most sort after car rental options (click here for the Camry).